Many businesses prefer to outsource IT security services because they do not have the necessary staff to manage them internally, the right infrastructure, budget for an on-premise solution, etc. Having a trusted provider that hosts and manages DLP on their behalf is a viable alternative for these organizations, MSPs or Managed Security Service Providers offering them immediate access to technology, expertise, support and other services that fulfill businesses’ data security needs. Data Loss Prevention for MSPs & MSSPs with My Endpoint Protector supports IT service providers to deliver to their customers an intuitive and efficient DLP solution. Our solution enables providers to address vulnerabilities like human error and data theft that lead to the disclosure of confidential information to unauthorized parties. DLP as a Service helps Managed Service Providers to increase their business and customer base and organizations to protect their critical information even if they do not have the internal resources to do so. Setup and administer content-aware DLP policies for companies wanting to avoid employees’ data transfers to portable storage devices, online and cloud applications. Remotely establish device access rights for USBs, external HDDs, local printers, digital cameras and others. Get insights into data transfers to portable storage devices and send the reports to your enrolled customers with a few clicks. Enroll and manage iOS and Android mobile devices to Track & Locate them, push password settings, apps, and other settings to secure corporate data. Demand for Data Loss Prevention is increasing and so can your business if you offer best-in-class DLP services. 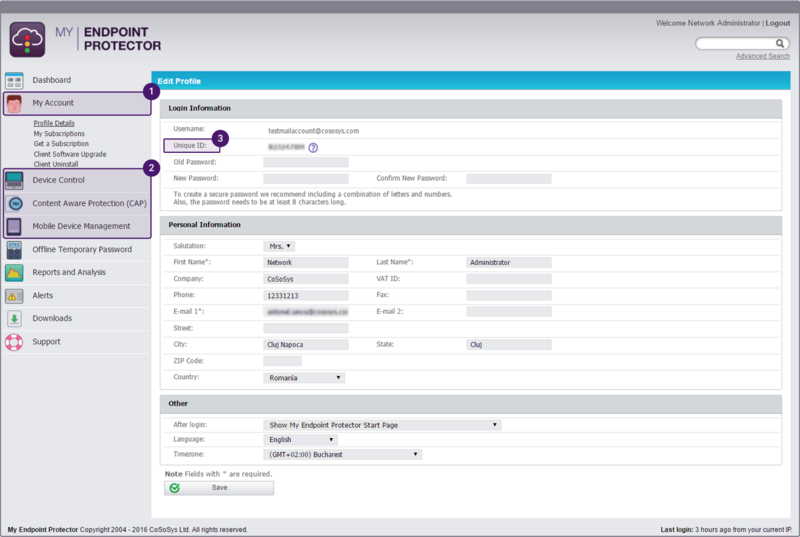 From a single interface, you can manage all customers by organization, generate billing and update subscriptions. Add a DLP solution to your services and complement your offering. You get full control over subscriptions and management as well as reports. As an extension to your customers’ infrastructure, control is both an advantage and great responsibility. Therefore, with our DLP as a Service, we combine ease of use with powerful features to enable you to deliver reliable, high-quality DLP and MDM services.